It is exciting because of how easy it is to use – my four year old helped take the photos (and built and directed the Claymation monster!) in the last scene of the video. It is exciting because of the opportunities it gives for students to make great stop motion animations to show understanding, or create time lapse videos to see things in a time scale they can’t easily imagine (think clouds & weather; sun shadows; plant growth; flowers opening; erosion; and so many more!). Rather than typing about the product – I’ve made a video. I may have pushed myself a bit too far by adding a green screen in the opening shot so I could insert some handwriting captured in OneNote – it works – just, and with some pixel glitches! In hindsight I needed to glue my green screen to the set, rather than using sticky tape which changed the colour due to reflections. Doh! In the final scene I left the green screen in its “raw” state so you can see it, and the quality of the video is far better. Process wise, I recorded the audio first. I then mapped out a timeline so I knew what my characters needed to be doing at each point – then Lucinda (my four year old) and I animated the characters to match the timeline and action points. The audio was recorded on the Blue Nessie; the video on the Logitech C920. The stop motion and time lapse was recorded in Hue Animation Studio. 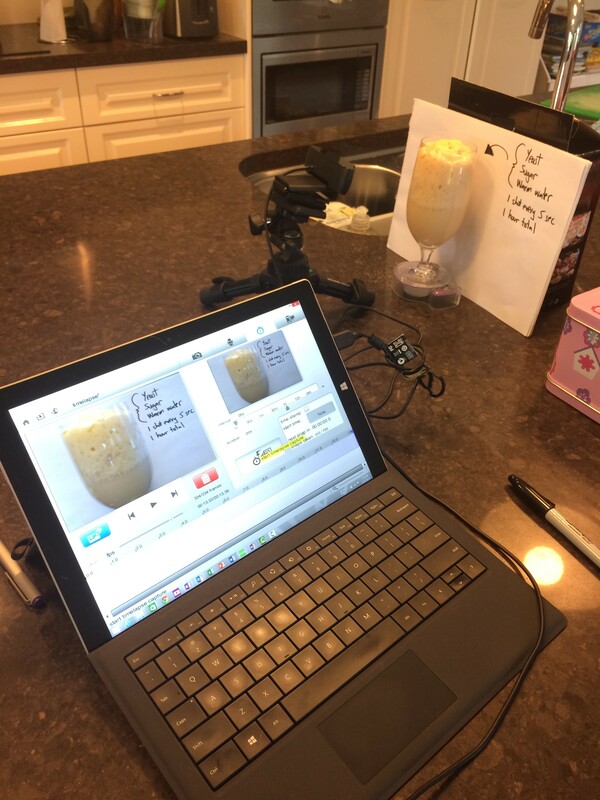 The OneNote handwriting was captured and the final video was compiled and edited in Techsmith Camtasia. 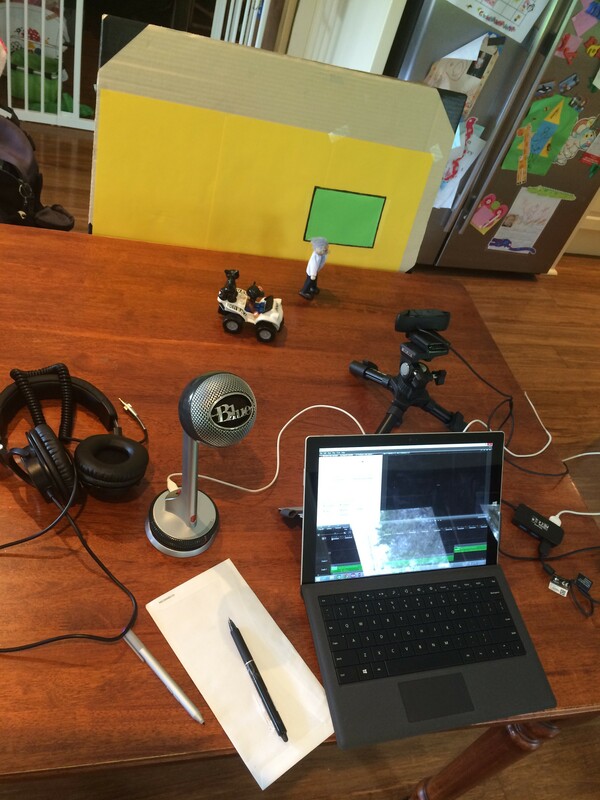 Here is the physical setup for the stop motion video and for the time lapse video. Previous On the ninth day of Christmas my true love gave to me, a Swivl robot that follows me. Next On the eleventh day of Christmas my true love gave to me, a GoPro to film class widely.